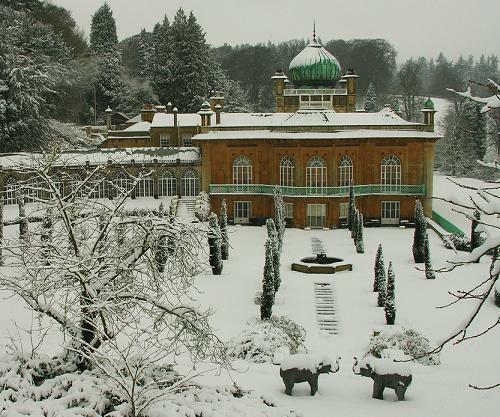 This garden at Sezincote surrounds a fine house built to encompass Indian character in 1810. It is reminiscent of the Brighton Dome. At Sezincote House and Garden the Indian influence is seen in the drive that goes over an Indian Bridge with statues of bulls. 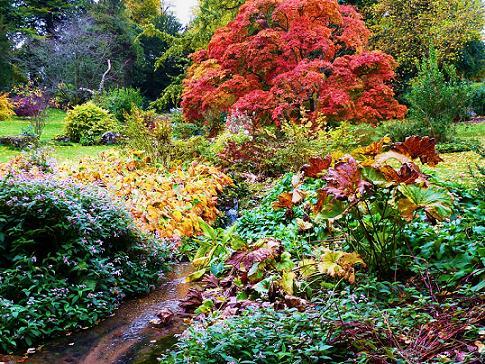 Water features include a temple pool, Canal, stream bordered with bog loving plants. 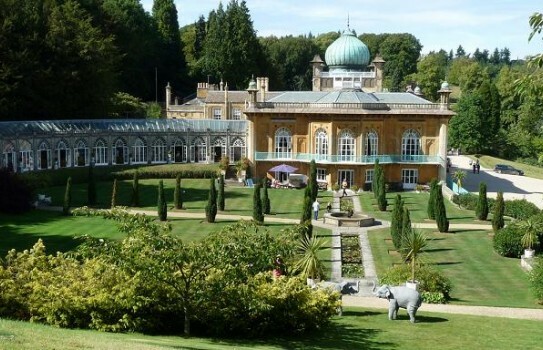 More formal gardens to the side of the house with elephant statues. Past this and up the hill a new wild flower meadow has been established. 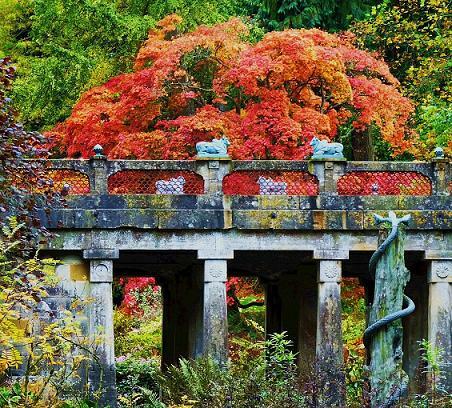 Many architectural items give these gardens a distinctive feel. Take time to see inside the House which is superb. 2019 - Opening details - garden open most of year and house at certain times. See website.